In other news, United just revived its seasonal service between San Francisco and Auckland, New Zealand, which is also served by Star Alliance partner Air New Zealand. United will fly the route six days a week from now through December 17, boosting the schedule to daily service through March 22. 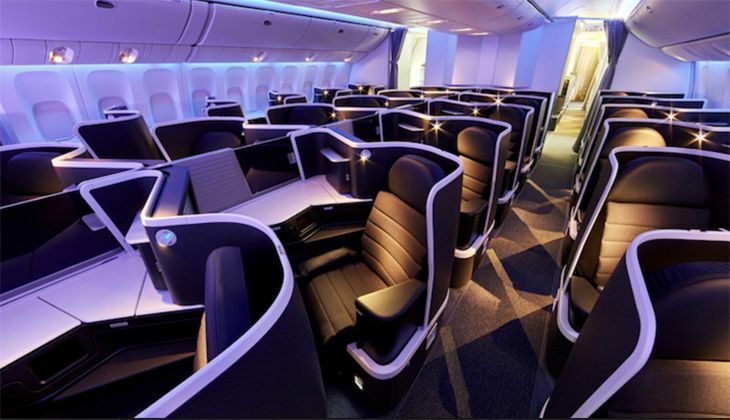 The carrier’s Auckland flights are using a 777-300ER fitted out with United’s new Polaris business cabin, featuring lie-flat seats that all have aisle access. United and Air New Zealand have created a new website at www.united.com/airnz that provides information on both carriers and destination tips about New Zealand. Meanwhile, Delta this week put its first new Airbus A350 into commercial service on its Detroit-Tokyo Narita route. The new plane features a new Delta One front cabin with lie-flat seats in private suites, as well as the airline’s new international premium economy cabin called Premium Select, which is being installed in Delta’s A350s instead of Comfort+ seating. As of this week, Delta is now using the 747 on a single route, Seoul-Detroit and that is only through December 17 when it will be replaced by a shiny new Airbus A350. After months of negotiations with Chinese officials to secure commercially viable slot times, American Airlines is finally due to kick off its newest route to China in a few days. November 5 is the launch date for American’s daily flights from Los Angeles to Beijing, which it will initially operate with a 787-8, switching to a 787-9 next spring. Delta had also filed for the route, but lost out when the U.S. Department of Transportation awarded the rights to American in December of last year. Air France said it will step in and replace joint venture and Skyteam partner Delta this winter on the Chicago O’Hare-Paris CDG route. Air France will use an Airbus A330 to fly the route up to five times a week. Air Canada has foiled plans for a schedule increase this winter on its Vancouver-Delhi route. The carrier will increase frequencies on the route from five a week to daily service effective December 9 through at least December 23. Air Canada uses a 787-9 on the route. Over the past weekend, Pakistan International Airlines ended its service between Karachi/Lahore and New York JFK, which it had been serving with a 777-200LR via a westbound stop in Manchester, U.K. PIA had been flying to New York since 1961. In domestic route developments, Southwest adds Cincinnati to its route map and adds service in several new California markets; American adds some regional routes and will put a wide-body on a SFO transcon; Delta adds more Comfort+ seats to regional aircraft; Alaska starts up its latest East Coast route; Spirit grows at Oakland; Frontier comes to Providence; and Air Canada pits a Dreamliner on a key SFO route. Southwest Airlines this week added Cincinnati/Northern Kentucky International Airport to its route map with an initial schedule of eight flights a day – five to Chicago Midway and three to Baltimore/Washington. At the same time, the airline’s route map eliminated Dayton, where Southwest had been running a few flights a day to Midway. 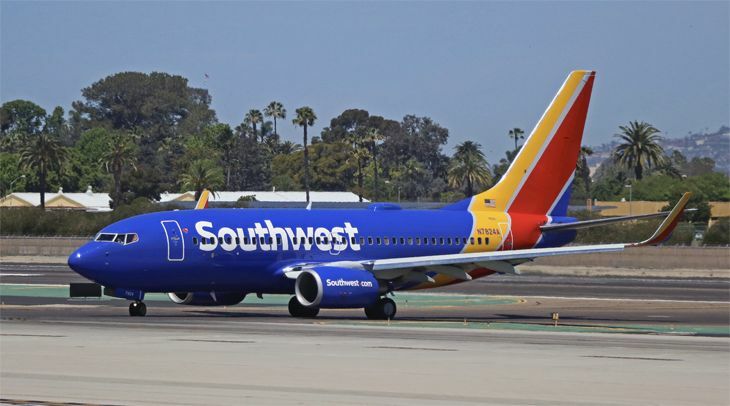 As the airline’s summer schedule kicks in this week, Southwest also inaugurated new non-stop service in several California markets, including San Francisco-Portland, San Jose-Reno, San Diego-Boise and San Diego-Salt Lake City. New seasonal summer routes active as of this week include Oakland-Newark, San Diego-Newark, San Diego-Spokane and San Diego-Indianapolis. Elsewhere, Southwest started daily service between Denver and Charleston, S.C.; weekend flights between Denver-Pensacola; and seasonal flights between Denver and Norfolk. At Nashville, Southwest kicked off new daily flights to Minneapolis-St. Paul and seasonal service to Seattle. After all the hubbub about airlines putting flat-bed seating into the front cabins on more domestic routes – notably Boston-San Francisco – readers of Flyertalk discovered another entry into the fully-reclining transcon competition: An American Airlines listing for A330-200 service between San Francisco and its Philadelphia hub starting in early October. Could this be just a seasonal redeployment of excess transatlantic aircraft, or a permanent thing? Meanwhile, American just added some new regional service, including daily flights between Dallas/Ft. Worth and Billings, Montana using a 76-seat American Eagle E175; and new Eagle service from Medford, Oregon to both Phoenix and Los Angeles. Delta continues to roll out its Comfort+ extra-legroom economy seating to more regional aircraft. Earlier this year, it finished installing the seats on its CRJ-200s, and now it has started selling Comfort+ on its E-175s and CRJ-900s. The extra-legroom seats are also now on sale for travel starting June 15 on Delta’s E-170 and CRJ-700 aircraft. “Delta remains engaged with distribution partners to allow Delta Comfort+ to be purchased through travel agents and in consumer direct shopping displays,” the airline said. 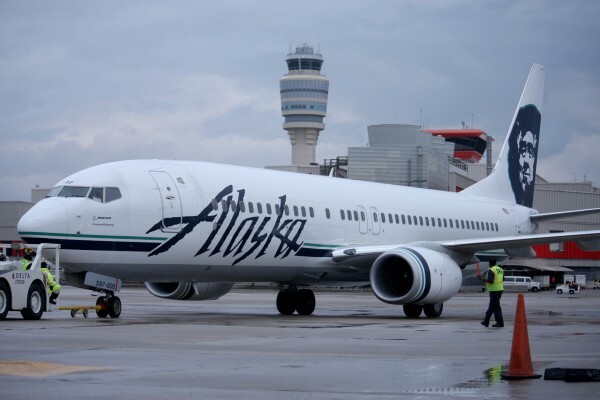 Alaska Airlines has started flying its newest transcontinental route. The carrier is offering daily seasonal non-stop service from Portland to Philadelphia, using a 737. The Portland-PHL flights will continue through August 26. It’s Alaska’s 58th destination from Portland. 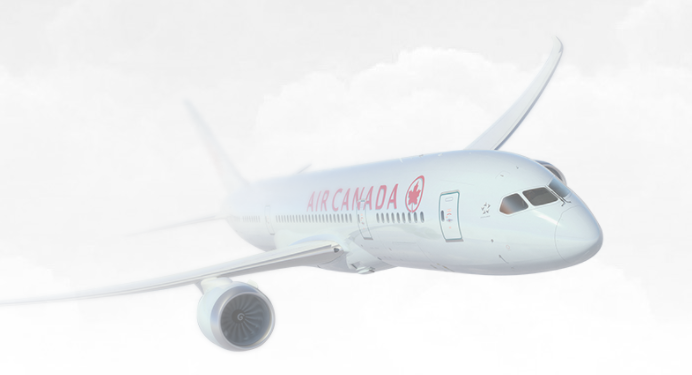 There’s something new in the skies between San Francisco and Toronto : Air Canada has just put a 787-9 Dreamliner into service on one of its six daily flights in the market. It’s scheduled on the airline’s 11:55 a.m. departure from SFO and its 8:15 a.m. westbound flight from Toronto. See more about this beautiful bird here. Spirit Airlines has kicked off new seasonal service from Oakland International to Baltimore/Washington and to Detroit, along with seasonal flights between Detroit and Seattle. New year-round markets just introduced by the low-cost carrier include San Diego-Baltimore/Washington, Seattle-BWI, New Orleans-BWI, New Orleans-Cleveland and New Orleans-Orlando. 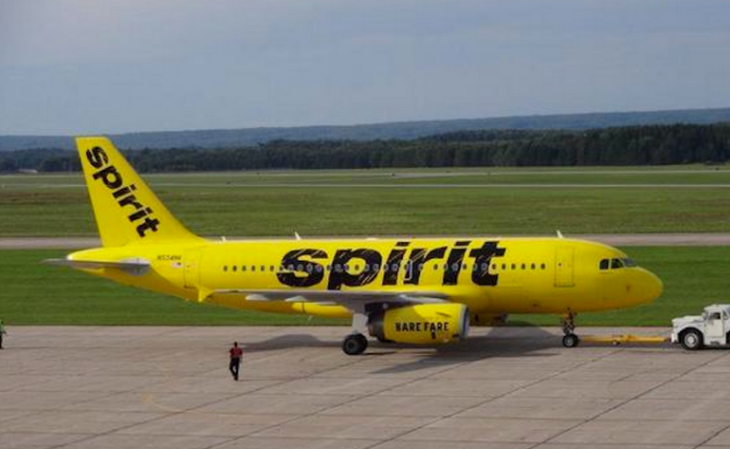 Spirit has also added Pittsburgh to its route map, launching new daily flights to Dallas/Ft. Worth, Orlando, Las Vegas, Houston Bush Intercontinental and Los Angeles, along with three flights a week to Ft. Lauderdale and daily seasonal service to Myrtle Beach, S.C. Low-cost Frontier Airlines has announced some new routes starting in mid-August. The carrier will start flying out of Providence’s T.F. Green Airport on August 14 with daily flights to Denver and Orlando, and out of Islip, Long Island’s MacArthur Airport August 16 with daily service to Orlando. Don’t you hate it when you get an automatic “upgrade” to a middle seat? Well, that won’t happen anymore on Delta. Today Delta introduced new options that will let customers buy upgrades for all or any part of their trip after the ticket is purchased, and will let SkyMiles Medallions select seats for complimentary upgrades and accept or reject automatic upgrades based on seat assignment. The way Delta’s automatic upgrade clearing process worked previously, SkyMiles Medallions would simply be assigned a seat with the upgrade, although it might be one they wouldn’t prefer, like a middle seat. In the other change, customers who want to buy an upgrade don’t have to make that decision at the time of ticket purchase, and they can purchase a premium seat product – including Comfort+ extra-legroom economy seats — on any or all legs of their flight. When they do so, they can use a different payment method than they did for the original ticket purchase. This would presumably mean that if the ticket was bought by the traveler’s company travel agency, for instance, and billed to the company account, the traveler could buy a higher seat category after the ticket was issued, using his or her own credit card. Previously, Delta allowed directional upgrade purchases from origin to destination, but not segment-by-segment. The company said the changes were made based on feedback from corporate travel customers. In domestic route developments, Alaska can’t seem to get enough transcontinental routes; Delta extends a new seating option to smaller regional jets; Southwest takes on another intra-California market; American drops a key Caribbean route but adds a Michigan link; and Frontier expands to Puerto Rico. Alaska Airlines is getting into several new transcontinental markets thanks to its acquisition of Virgin America, and it has been adding some of its own, like the San Jose-Newark, Portland-Orlando and San Diego-Baltimore/Washington flights it started last month. But that’s not enough for Alaska: It just announced plans to add new daily transcon flights from Portland to New York JFK and from Los Angeles to Philadelphia. And it’s not quite a transcon, but Alaska also announced plans to start flying once a day from Portland to Detroit. The Portland-Detroit service starts August 30, followed by one daily LAX-Philadelphia flight September 1 and one daily Portland-JFK roundtrip beginning November 6. All the eastbound flights on the new routes will be red-eyes. The two Portland routes will use 737s, while the LAX-Philadelphia route will use an Airbus from the A320 family (i.e., a Virgin America plane). LAX-Philadelphia was previously served by Virgin America from 2012 to 2014. Delta’s announcement didn’t say how many Comfort+ seats the CRJ-200s would have, or how much extra pitch they would offer, or what would happen to seat pitch for the regular economy seats on those aircraft. 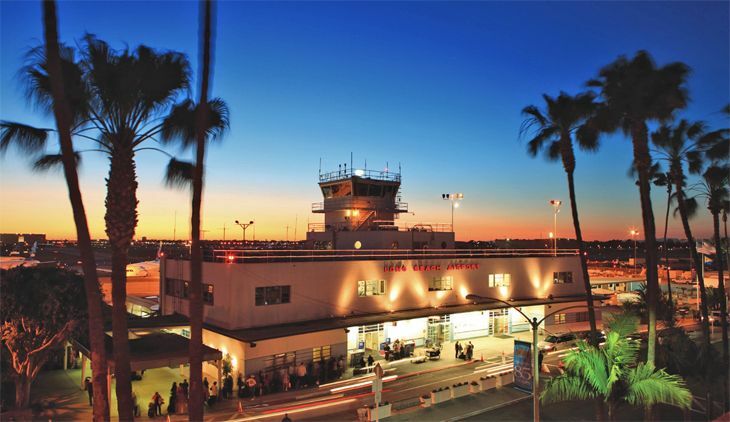 Southwest Airlines, which started flying out of southern California’s Long Beach Airport last year with several flights a day to Oakland, has been eager to expand at Long Beach if only it could get more slots there. Well, it recently picked up a couple of slots given up by American, and said it will use them to begin twice-daily flights from Long Beach to Sacramento starting August 1. American Airlines has been flying from New York JFK to San Juan, Puerto Rico for more than 45 years. But it has decided to give up that market on August 22, when it will eliminate its two daily flights on the route. AA still will fly to San Juan from several other hubs. 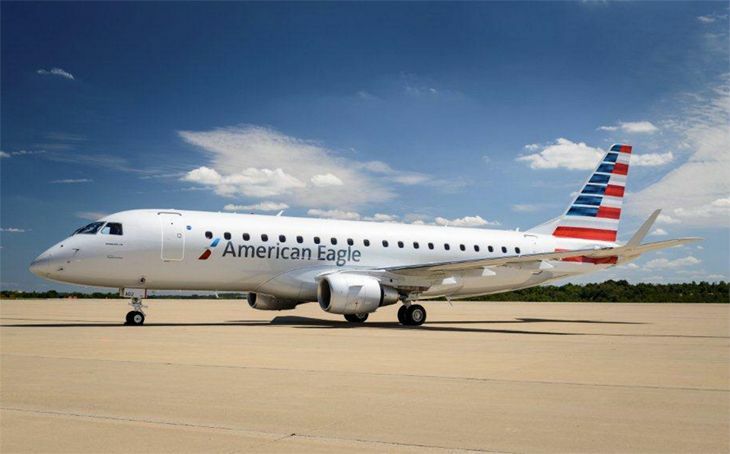 Elsewhere, American Eagle has started up new service from Grand Rapids, Michigan to Washington D.C.’s Reagan National Airport, operating 12 flights a week. While American is cutting capacity to San Juan, Frontier Airlines is adding it. Frontier is due to begin daily flights from Philadelphia and Orlando to San Juan on June 11, operating one daily A321 roundtrip on each route. Delta’s announcement of free meals in economy class could set off a new round of in-flight service competition on lucrative transcontinental routes. 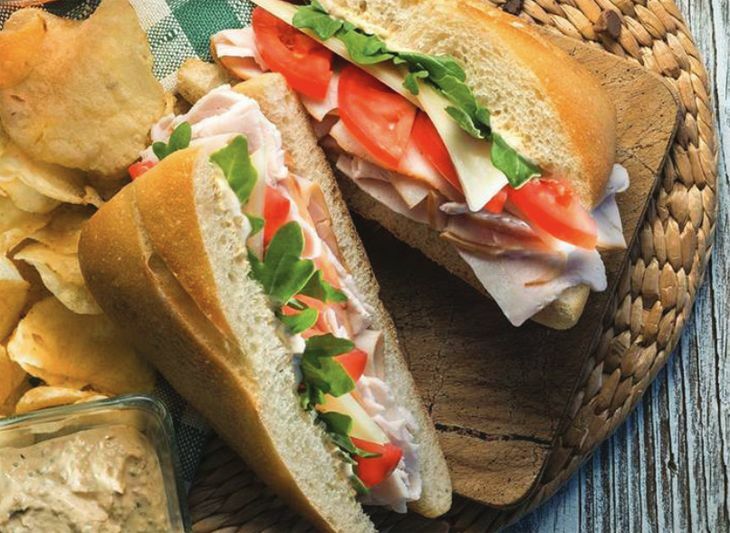 Given the level of competition – and the profitability – on transcon routes, Delta’s revival of free meals could spur its rivals to match the offer, or try to outdo it. Delta said the free Main Cabin meal service will begin March 1 on routes between New York JFK-San Francisco and JFK-Los Angeles. Then on April 24 it will extend the service to routes from JFK to Portland, San Diego and Seattle; Boston to San Francisco, LAX and Seattle; Seattle to Ft. Lauderdale, Orlando and Raleigh-Durham; and Washington Reagan National to LAX. 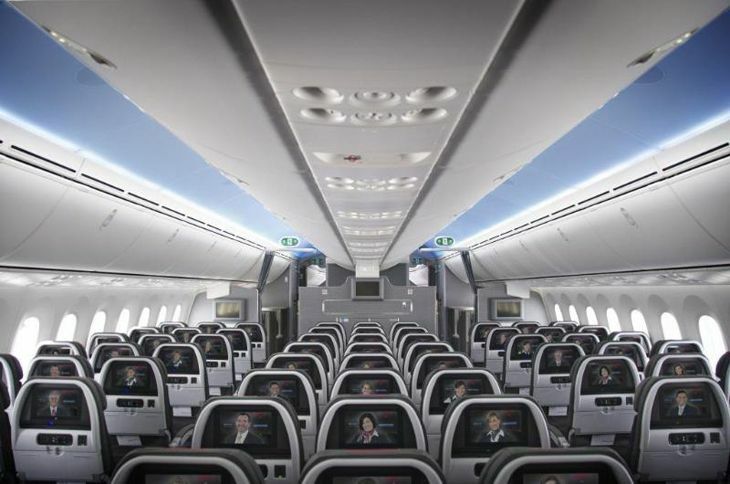 The offer of free meals in the Main Cabin will also be extended to passengers traveling on bare-bones Basic Economy fares, a Delta representative tells TravelSkills. The meals will vary by time of day. Morning flights will serve up three options – a honey maple breakfast sandwich, Luvo breakfast medley or fruit and cheese plate. 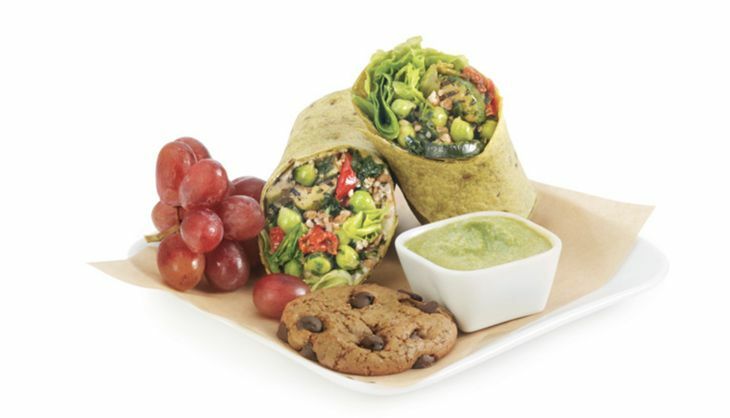 On flights later in the day, passengers can select from a mesquite-smoked turkey combo, Luvo whole-grain veggie wrap, or fruit and cheese plate. 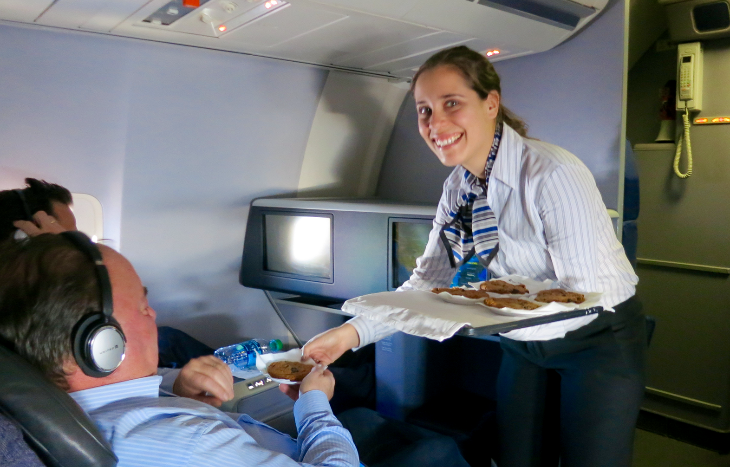 On overnight flights, the airline will offer a breakfast bar during pre-arrival beverage service. Besides the Main Cabin meal service, those in Comfort+ seats on the affected routes will also get a pre-arrival snack basket along with free alcoholic beverages; and on JFK-SFO/LAX routes they’ll also get a Greek frozen yogurt bar. In international route news, Finnair will add San Francisco service next year; Delta expands sales of Comfort+ seats and Caribbean code-sharing, Virgin Australia will revive Melbourne service, Austrian Airlines is coming to Los Angeles, American suspends some Europe flights, SAS comes to Miami Aer Lingus adds a pair of gateways, United code-shares to India, and a Mexican carrier adds three U.S. routes. Finland’s national carrier is coming to San Francisco next year. 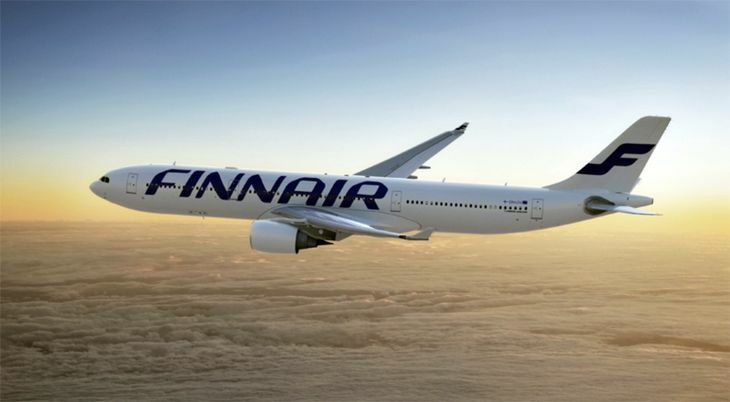 Finnair said it will operate seasonal SFO-Helsinki flights three times a week (Tuesdays, Thursdays and Sundays) from June 1 through September 30, using an A330. The new service will be a part of the transatlantic joint venture that includes Oneworld partners American, British Airways and Iberia as well as Finnair. “Thanks to Helsinki’s geographical location, Finnair’s new northern route to San Francisco will offer competitive travel times for customers from Scandinavia, the Baltics, Russia as well as from many European cities,” a spokesperson said. Finnair currently flies to New York, Chicago and Miami. At first glance, SFO-HEL roundtrip economy fares appear to be in the steep $1,900 range, but we’ll be on the lookout for lower introductory promo fares. Delta said it has expanded the sale of its extra-legroom Comfort+ economy seating to a number of international routes, including: from the U.S. and Canada to Latin America and the Caribbean (except Brazil, Argentina, Peru and Chile); between North America and Asia-Pacific destinations (except China and Hong Kong); and on flights within the Asia-Pacific region (except China and Hong Kong). Last fall, Delta created a new fare category for Comfort+ and started selling it for travel within the U.S. and Canada. 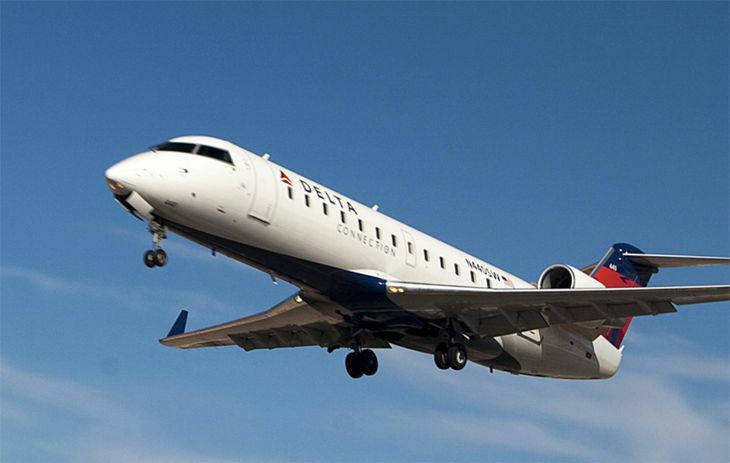 Meanwhile, Delta has expanded its agreement with Caribbean-based Seaborne Airlines to allow single-ticketing for connections through San Juan to St. Croix, Anguilla and Beef Island in the British Virgin Islands; and between St. Thomas and St. Croix. Virgin Australia has set a launch date of April 4, 2017 for a revival of service between Los Angeles and Melbourne. On the same date, it will trim LAX-Brisbane schedules from seven flights a week to six. The carrier also flies from LAX to Sydney. Its transpacific operations are part of a joint venture with Delta. Virgin said it will fly the LAX-Melbourne route five times a week (no westbound departures on Wednesdays or Mondays), using a 777-300ER. Los Angeles will get another new international route beginning April 10, 2017, when Austrian Airlines plans to launch up to six flights a week between LAX and Vienna, using a 777. The 12 and a half hour seasonal flight will depart Los Angeles daily except Sundays at 3:05 p.m. Austrian, a part of the Lufthansa Group, also flies to New York JFK, Newark, Chicago, Washington D.C. and Miami. American Airlines plans to cut back its international schedule out of Philadelphia. After ending its Philadelphia-Brussels service last month, American now says its seasonal PHL-Zurich service, which ends September 30, will not be revived next year; and its year-round PHL-Frankfurt flights will now operate seasonally, with no service from October 30 through April 5. AA also plans to drop its twice-weekly Philadelphia-Halifax flights in January. Elsewhere, American will suspend Chicago O’Hare-Paris CDG flights from December 5 through December 13, and from January 10 to March 25; and its New York JFK-Manchester flights from January 9 through March 29. 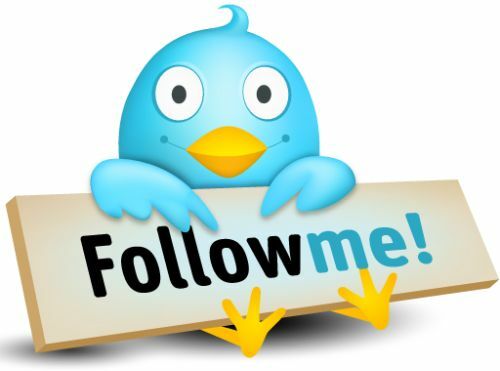 DONT MISS! The 100,000 points question! On September 28, SAS is introducing new non-stop service from Miami International to Copenhagen and Oslo. The carrier will offer flights to Copenhagen on Wednesdays, Fridays and Sundays; and to Oslo on Mondays, Tuesdays, Thursdays and Saturdays. Aer Lingus this month introduced new daily year-round service between Dublin and Newark Liberty International, using an Airbus A330. 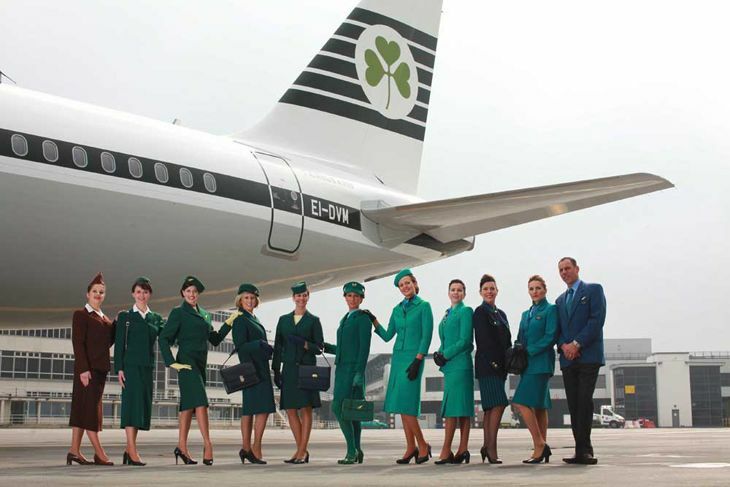 And on September 28, the Irish carrier is slated to inaugurate a new route linking Hartford, Connecticut with Dublin, operating four days a week (Sunday, Monday, Wednesday, Friday) with a 757. United flyers will get a new option for travel from the West Coast to India next month. 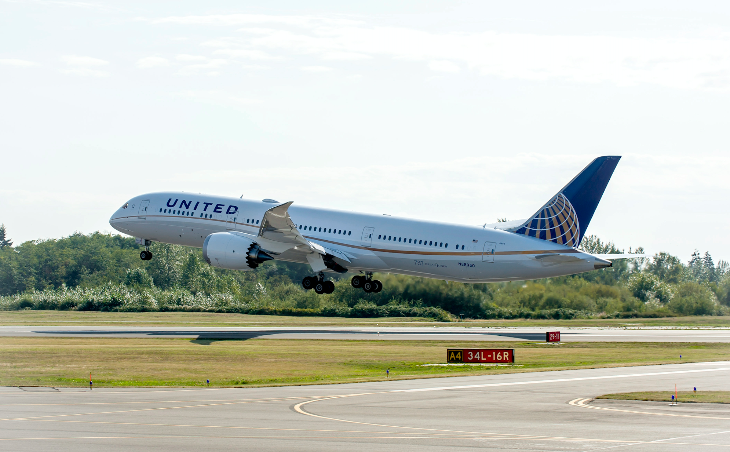 United is putting its code onto Star Alliance partner Air Canada’s new Vancouver-Delhi seasonal service, which will operate from October 20 through April 6. Mexican low-cost carrier Interjet will expand its transborder network this fall with a trio of new U.S. routes. On October 20, it will inaugurate twice-daily service between Mexico City and Los Angeles, followed on November 10 by a daily Las Vegas-Mexico City roundtrip and on November 17 by two daily Mexico City-Chicago O’Hare flights. The airline will use Airbus A320s for all the flights. Earlier this week Delta ‘s sales of Comfort+ as a new and separate fare category took effect for travel within the U.S. and Canada – and now it is extending that change to select international routes. The airline said customers can now book and purchase these seats for travel starting September 19 or later on flights to and from destinations in the Asia/Pacific region (except China, Hong Kong and Taiwan) and Latin America/Caribbean (except Brazil, Argentina, Peru and Chile). 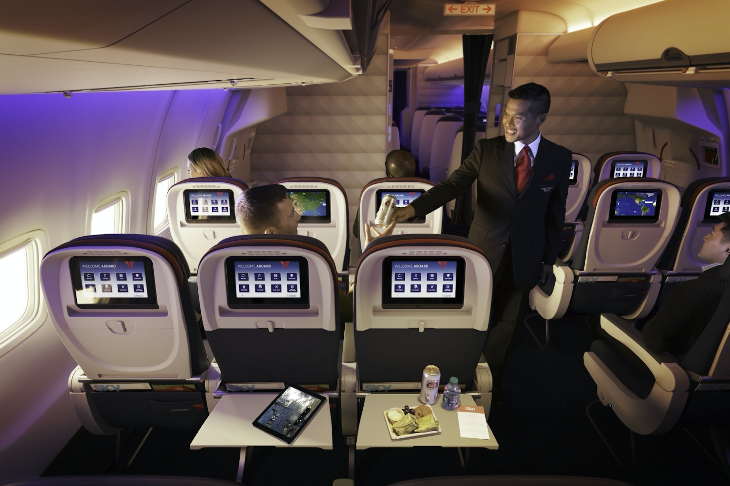 Comfort+ is the extra-legroom seating area in Delta’s main cabins; besides the extra seat pitch, benefits also include free beer, wine and alcoholic drinks; free snacks; priority boarding; dedicated overhead bin space; and free premium entertainment. 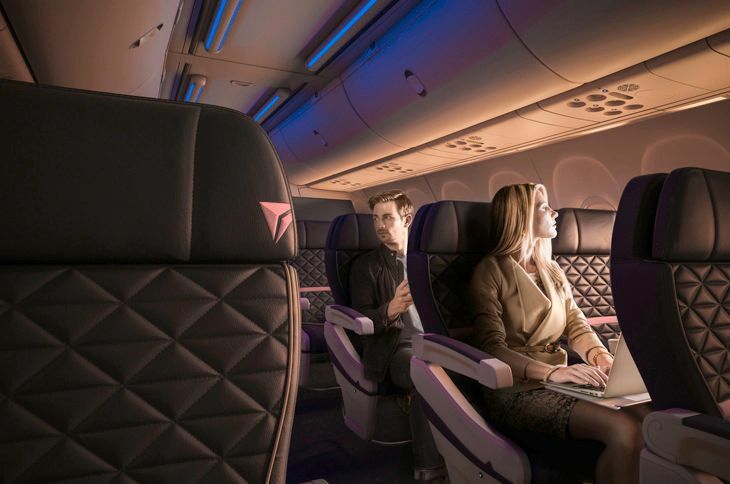 When Delta introduced Comfort+ more than a year ago, it used the extra-legroom seating primarily as a new perk for SkyMiles Medallions, who could get automatic free access to the preferred seats when they booked. Any unclaimed Comfort+ seats could be occupied by non-Medallions for an extra seat booking fee – an add-on option that will still apply on international routes not included in this latest expansion. Medallions can still request Comfort+ seating when they book, but the number of seats available for them to occupy at no extra cost will likely be reduced as paying passengers can now book and buy them in advance. 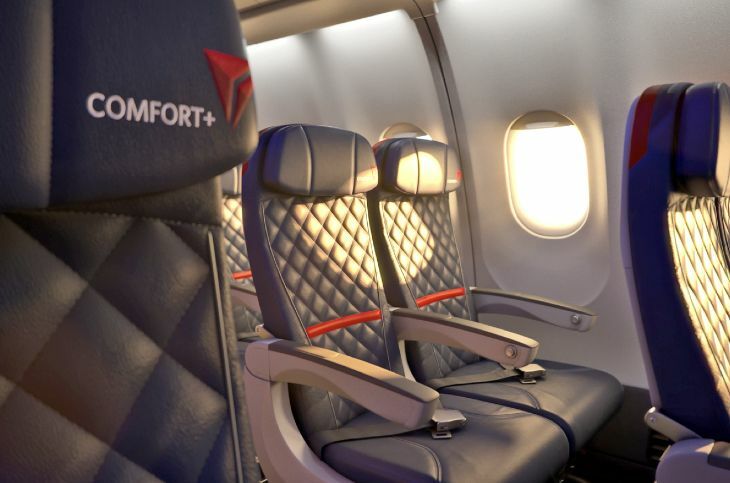 We’ve heard from several readers confused or surprised by these changes, so if you still don’t get it, Delta’s website has a page of FAQs about the new policies and procedures that apply to Comfort+, including the rules for Medallions to gain free access to the seats. The expansion of Comfort+ fares comes just a few weeks after Delta implemented a new set of rules for the priorities it assigns in clearing requests for complementary upgrades. So, Delta flyers, what do you think of these changes? Please sound off in the comments below. Over the weekend, Delta implemented a new set of rules for the way it will clear requests for complimentary upgrades, with a priority downgrade for customers who buy full Y fares. The airline outlined the changes on its website. “This new upgrade process better recognizes the loyalty of our Medallion members, SkyMiles Credit Card from American Express Card Members and Delta Corporate Travelers,” Delta said. A customer’s SkyMiles elite status level is “the most important factor” in upgrade clearance priority, Delta said. The advance time for clearing Medallion-level members’ first class upgrade requests is five days before departure for Diamonds and Platinums, three for Golds and one for Silvers. Delta Comfort+ upgrades will go to Diamonds and Platinums right after booking; Golds will clear three days in advance and Silvers one day. 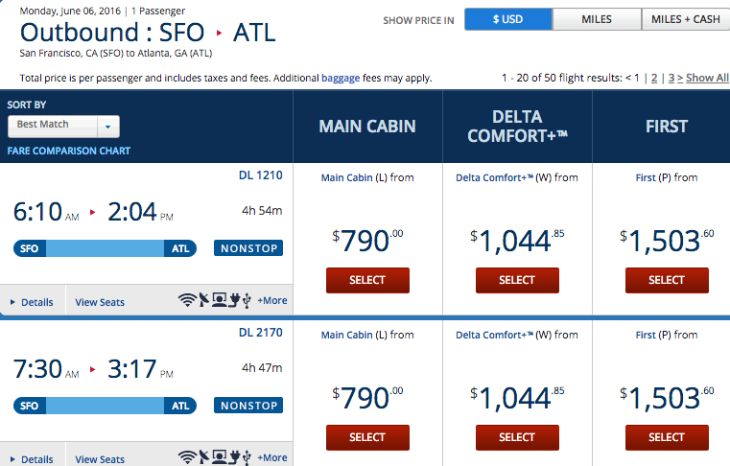 “Y class fares will no longer be upgraded at booking,” Delta noted. The airline noted that members will still be able to get free upgrades to Delta Comfort+ in the U.S. and Canada for flights after May 16 – although there may well be fewer seats available for upgrades, because that’s the date when Delta will start selling Comfort+ seats as a new fare class in its inventory, instead of using that extra-legroom section as a dumping ground for automatic upgrades. As we reported a few months back, Delta is also taking steps to make sure that a higher percentage of first class seats are occupied by paying customers in the months ahead, leaving fewer available for free upgrades. How will Delta clear complimentary upgrade requests from passengers who are at the same Medallion level? As a general rule, the higher the customer’s fare class, the higher the clearance priority. Starwood Preferred Guest Platinum Preferred members and elites from partner airlines will only be eligible for day-of-departure upgrades, Delta said. Holders of Delta Reserve credit cards will continue to have higher priority within their Medallion level. Meanwhile, a higher priority will now go to Medallions who are Delta Corporate Travelers traveling on a ticket so designated. “If all else is equal, Card Members who earned the Medallion Qualification Dollars (MQDs) Waiver by spending at least $25,000 in the current calendar year on their Delta SkyMiles Credit Card from American Express will enjoy higher priority,” Delta said. Readers: How are you likely to be affected by these changes? Post comments below. 4 On the fence? Time to jump off Time is right for a new credit card. Why? Reader L. Howell explains it: It is a 757, the model they use primarily on premium JFK east/west flights and sometimes to Europe. You can see the new Biz Elite config forward. What’s confusing is they removed the jump seat and equipment by the left door to make the cabin appear more spacious. And you are correct that there’s one row on the right side with two rather than three seats due to exit door 2-right. There’s only that one row (18) that has 2 seats on just the right side, no seats on the left (left exit door). The next row is 3 across both sides. They ought to use this photo and what it really looks like in the back of Highlights Magazine in the “what’s missing” photo…. United will test letting MileagePlus members pay for in-flight Wi-Fi with miles. November 30 is booking deadline for Hyatt winter sale. 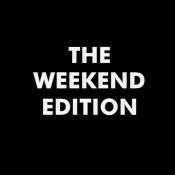 Three-day Marriott early winter sale starts Black Friday. State Dept. : No more inserts of blank pages for full passports after January 1. Consumer Reports finds carry-on bags’ dimensions aren’t always what manufacturers claim. JetBlue teams up with taxi-sharing app for JFK passengers. NOTE: Be sure to click here to see all recent TravelSkills posts about: 5 ways to save using Uber/Lyft + New overseas plan from Verizon + Trans-Pac fare war? 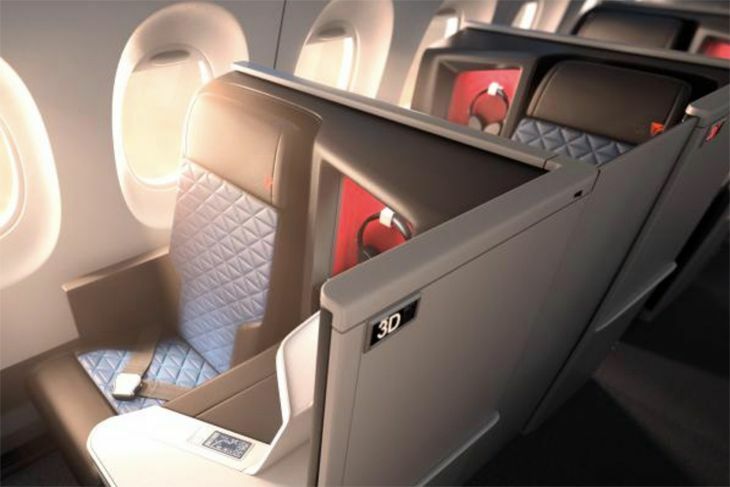 Delta’s year-old Comfort+ seating — which many SkyMiles Medallions have come to expect as an automatic free perk with extra legroom, priority boarding and free drinks — is going through some changes. Starting next spring, those seats will have their own pricing in Delta’s website fare searches, so they can be purchased in advance — and that might mean fewer available free upgrades for elites. It is possible to pay extra for a Comfort+ seat now, in the form of a seat assignment fee. But the front section of economy is mostly a place for Delta to seat its Medallions as a free perk, making them feel a little more special than the folks in the back of the bus. Those seated in Comfort+ get Sky Priority boarding access, complimentary booze, and premium snacks on longer flights in addition to the major perk: extra legroom. If you are a Platinum or Diamond Medallion, you’ll still choose Comfort+ seats when you make your reservations (if available). Gold Medallions get access to the seats three days prior to the flight; long suffering Silvers can grab what’s left over when they check in 24 hours ahead of time. These upgrades are made automatically if you’ve checked the Comfort+ box on the “request upgrade” section of the passenger information page. Those with successful requests will be notified by email. Don’t miss: Blockbuster hotel news! In a big downgrade, the companion allowance for elites seeking Comfort+ seating will also be reduced substantially — from up to eight companions to just one- not good news for families who like to travel together. The Delta website has added an FAQ page for customers regarding the changes coming to Comfort+. Basically, the net effect is that elites who used to take Comfort+ as a routine perk will now have to stand in line to see what’s left after paying passengers buy the seats. Thoughts please in the comments below! NOTE: Be sure to click here to see all recent TravelSkills posts about: Trip Report: Singapore Airlines + 5 ways to save using Uber/Lyft + New overseas plan from Verizon + Trans-Pac fare war? Is there some kind of stigma attached to the phrase “basic economy”? Delta uses that designation for the lowest level of the new branded fare categories it introduced last winter, and officials said this week the airline has been successful in moving customers into the higher fare categories. Those include Main Cabin economy, Delta Comfort+ (extra-legroom economy), First Class and Delta One (international business class). The Basic Economy fare does not allow for changes, refunds or advance seat selection. The new designations took effect in March. According to the Atlanta Journal-Constitution, Delta executives said in an earnings conference call this week that almost two-thirds of ticket buyers opt for Main Cabin economy over Basic Economy, and overall, the new fare categories have brought an extra $56 million into the company’s coffers during the second quarter. Meanwhile, Delta also said that because pilots have rejected a new labor contract, it will cancel orders for 60 new planes, including 20 Embraer E190s and 40 737-900ERs. NOTE: Be sure to click here to see all recent TravelSkills posts about: This guy got 1 million United miles + More changes to Delta SkyMiles+Airline fees: No end in sight + ATMs are out + More! 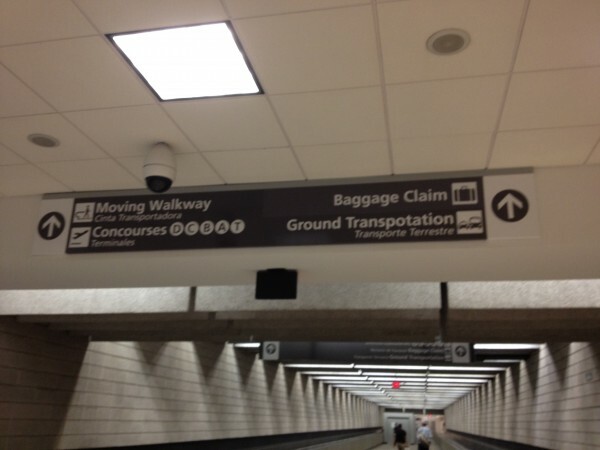 TICKET reader DW sent us this photo showing a spelling error that needs fixin’ at ATL’s new International Travel Complex at Concourses E and F.
ATL’S NEW CONCOURSE F: As expected, travelers are experiencing a few kinks as ATL’s newest concourse makes its debut. In the midst of the hoopla surrounding the opening of ATL’s new International Concourse F, gripes we are hearing at The TICKET include the unusually LONG walk from Concourse E to Concourse F. Now, all Atlanta-bound passengers arriving at either Concourse E or F are funneled through customs and immigration at Concourse F. That means those arriving at Concourse E must walk from their arriving gate to the central spine, then hike the 1000 or so feet through the underground tunnel (or take a moving sidewalk) leading to immigration at Concourse F—the Plane Train is not an option. More evidence that the new terminal was built with a lot of thought for CONNECTING passengers—less so for Atlanta residents. What’s been YOUR experience at Concourse F? Please leave your comments below. MORE ECONOMY COMFORT. 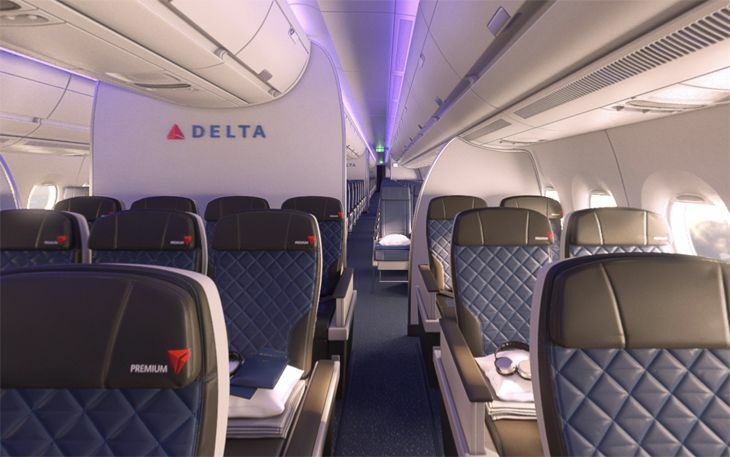 Just in time for peak summer season, Delta’s entire mainline fleet and its Delta Connection planes with first class are now outfitted with Economy Comfort. On domestic flights, the extra four inches of legroom is a huge plus, and on international flights, the free cocktails are an added bonus. Zone 1 boarding is nice, too, especially on full flights. Until now, not all Delta planes offered Economy Comfort– and the seats were not available for sale until the entire fleet was upgraded. Now, non-Medallion travelers can purchase these extra legroom seats for $19-$99 depending on the length of the flight. Gold, Platinum and Diamond Medallion members get these seats for free—Silvers get a 50% discount. Have you tried Economy Comfort yet? Would you pay extra for it? LET US KNOW. Leave comments below. DELTA / AIRTRAN DEAL. AirTran’s Boeing 717 fleet will not leave Atlanta as soon as expected. The slender jets will get some new paint and switch terminals to become part of Delta’s fleet beginning as soon as next year. The move is dependent on the ratification of a pilot’s contract that will allow them to fly the smaller jets. This fleet upgrade will lower the average age of Delta’s fleet by accelerating the retirement of its aging DC-9s. They will also replace many of the inefficient Delta Connection CRJ-200 aircraft. The 717 fits well between a regional jet and smaller mainline plane like the DC-9 allowing Delta to adjust aircraft to capacity and provide more first class seats (yay!) in certain markets. Delta will make the replacements on a capacity-neutral basis meaning that the retirement of CRJ-200s and DC-9s will be in line with the 717s based on the number of seats still available in the fleet. FLY SOUTHWEST AIR TO LATIN AMERICA? Just today Southwest Airlines has obtained approval from the City of Houston to build a $100 million international hub at its Houston Hobby airport facilities. This means that ATL travelers will soon have a low cost option for flights south of the border via a connection in Houston. Flights could start as soon as 2015. It’s a move certain to ruffle the feathers of United and Delta which now pretty much own the US-Latin America market. 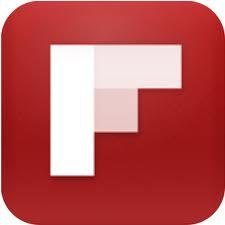 Federal approval is still pending. CLEAR Card COMING BACK? This month the CLEAR card began operations at all terminals at San Francisco International. Since the company was resuscitated by new investors in 2009, CLEAR has come back to only three airports: SFO, Orlando and Denver. Dallas is next on the list, although no firm date for installation of kiosks has been announced. We are hopeful for a return at ATL, but there is no strong indication that ATL is on CLEAR’s radar, for now at least. In case you don’t remember, CLEAR offers members access to special biometric-kiosk-controlled fast lanes at airport security for a $179 annual fee. It’s currently honoring any time left on previous memberships, and has a two-month free trial. NEW SUMMER SNACKS ON DELTA. New seasonal food-for-sale items aboard Delta mainline flights include Ben & Jerry’s Cherry Garcia or vanilla ice cream, Blue Moon beer, and Tequila Avion. To kick off the new summer menus, Delta offered free chips and salsa and margaritas to passengers on select transcon flights over the Cinco de Mayo weekend. All of these items are available for purchase in the main cabin. Specialty beverages are complimentary in first class, but there’s still a charge for ice cream. Also making a comeback this summer for Caribbean and Latin American routes are the popular mojitos. Other new items on the EATS menu for the main cabin include a smoked turkey and egg salad sandwich on breakfast flights and basil pesto chicken sliders with asiago cheese on a pretzel roll. 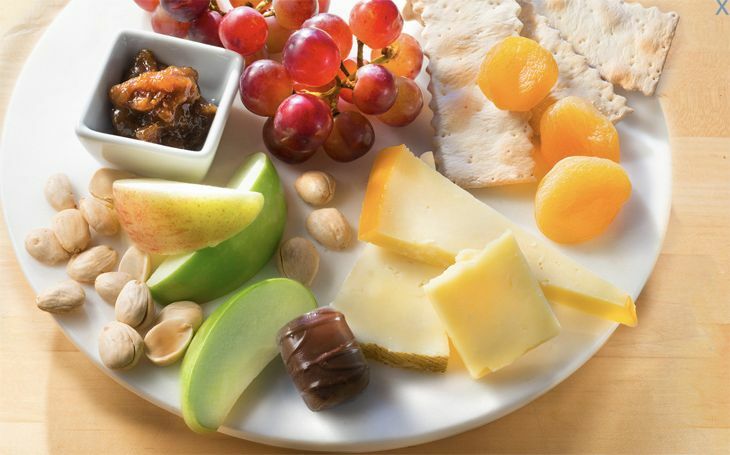 What are your favorite…or least favorite… Delta meals? Please leave your comments below. 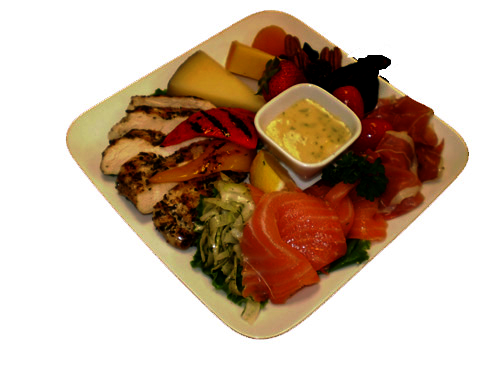 DINE UP AT DELTA. Delta is testing “DineUp” a new concept allowing coach passengers to pre-buy premium meals online (up to 48 hours before flight time) on its transcon flights between New York City and California. The meals look tasty… and range in price from $12 to $20. If you end up with an upgrade, your meal will be delivered to your first class seat—no refunds. For now, DineUp is limited to NYC-CA flights but might expand. What do you think… would you dine up? HOTEL BONUSES: Multiple Hyatt stays earn 4x or 5x Delta SkyMiles (2,500 max) bonuses between now and August 31. Marriott Rewards is offering one free night for every two paid stays between now and August 31. IHG’s Priority Club is offering 1000 bonus points or 200 bonus miles per night through September 3. Also, in a new twist, Priority Club now allows members to redeem points for digital downloads such as music, games or even foreign language lessons. DELTA-SUNTRUST CHECK CARD. Yet another miles-earning opportunity is available with a new check card from SunTrust bank. As the only check card to earn SkyMiles, this is a great option for those who do not want to apply for a credit card. It comes with a $75 annual fee, but also gives applicants the opportunity to earn as many as 30,000 SkyMiles when they sign up. More details can be found here. PRE-CHECK EXPANDS. Have you enjoyed TSA’s amazingly swift and convenient Pre-Check program at ATL’s south concourse entrypoint? Well, it is now available at Orlando and Portland (PDX) as well. Special pre-check lines are reserved for invited Delta Medallions and Global Entry members—they get to speed through security without removing liquids, laptops, and shoes. The TSA hopes to continue expanding this program across U.S. airports in the near future. Luckily, Atlanta (and Delta) were chosen to beta-test the concept, and as we know from fellow TICKET readers, it was a roaring success (see our post and reader comments here). But…do good things last forever? We are hearing that the program’s become so popular, that PreCheck lines at ATL are sometimes LONGER than others. Tell us about your recent experiences in the comments box below. ALASKA AIRLINES UPGRADES. Flying out west? Don’t forget, when traveling on Alaska Airlines, you are eligible for Medallion upgrades to its first class cabin. While its MVP elites receive priority, the odds of scoring a premium seat on Alaska are much better. Many gate agents and passengers are still forgetting about this perk for Delta flyers, so do not forget to ask about it, as they sometimes do not process automatically. In a throwback to the glory days, Alaska even serves splits of champagne and full bottles of beer in first class with printed menus on transcon routes—including its single daily flight between ATL and Seattle. DELTA AXES MORE ROUTES. The current economic roller coaster and a steady stream of gloomy news from Europe has Delta making adjustments to its long-haul flying schedule, axing routes like ATL-Accra, ATL-Monrovia and shifting routes like ATL-Milan and JFK-Athens, Nice, and Rome to seasonal (summer) service only. Overall, capacity across the Atlantic will be down 3-4% for 2012, more than Delta had originally planned. Delta is also reducing frequencies on many overseas routes with multiple daily flights. As reported in The TICKET earlier this year, Delta is yanking nonstops between ATL and: Copenhagen, Athens, Prague, Moscow, Tel Aviv and Shanghai. MORE ON TIME AT ATL. Delta barely squeezed into the top ten list of on-time performance for North American airlines in April—it ranked #9, but ahead of many of the other major U.S. airlines like American, United or Southwest. In the airport category, Atlanta came in at #3 in on-time performance among the world’s major airports with 88.5 percent of flights arriving on time. Only US Airways’ hub in Charlotte had a better ranking among U.S. airports. Subscribe to The TICKET via E-mail!